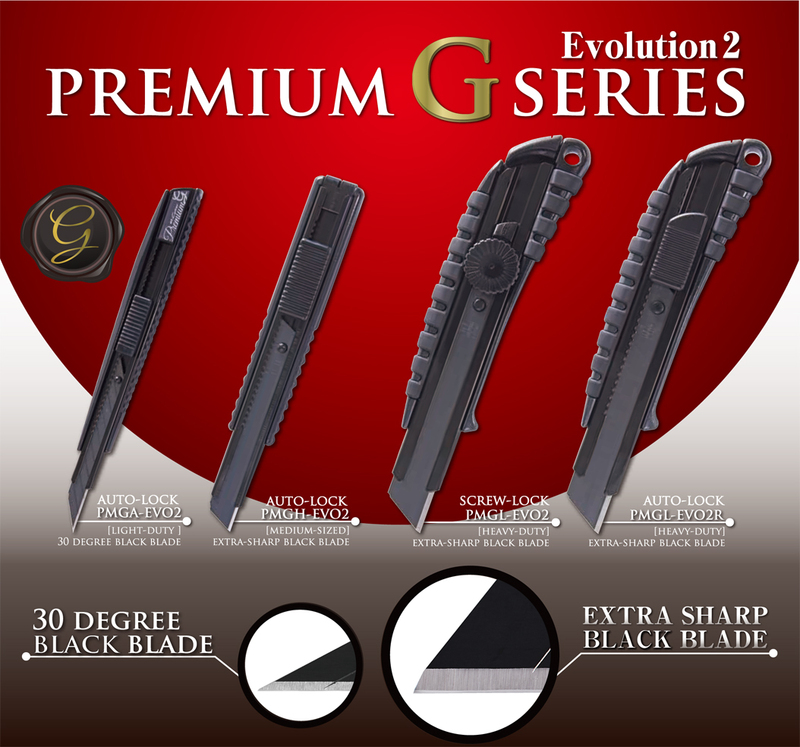 Premium G series Ver.2 will be released. Extra sharp black blades that we are especially particular about are installed for all the models. The 30 degree tip blade, perfect for precision work , is installed for PMGA-EVO2. An evolutionary model with stylish and tough, durable metallic pearl black holder should serve you satisfactorily, and bring you great pride of ownership. We hope you will not only enjoy these high-grade cutting tools, but also find they make your work more efficient.